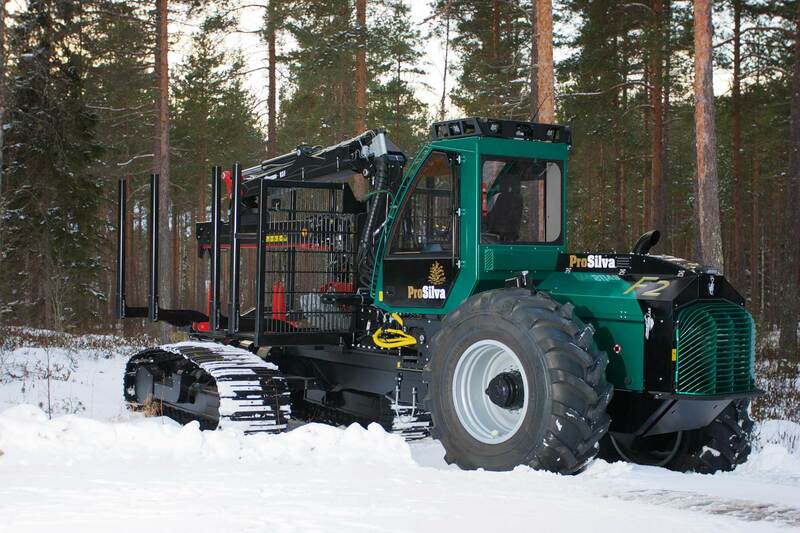 ProSilva S6 is a 6-wheel version of the S-series. This machine is equipped with a bogey and it has the same excellent features as the S4. 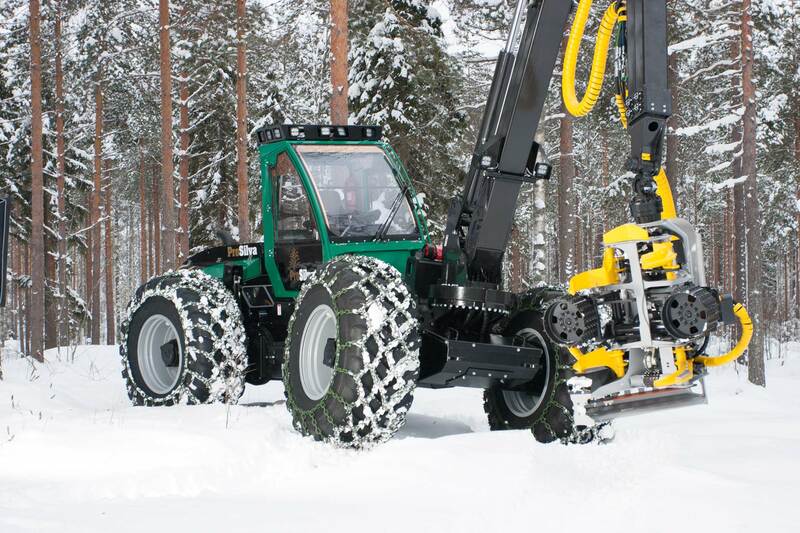 Big 34” wheels in the bogey bring more carrying capacity on soft terrain, even without tracks. 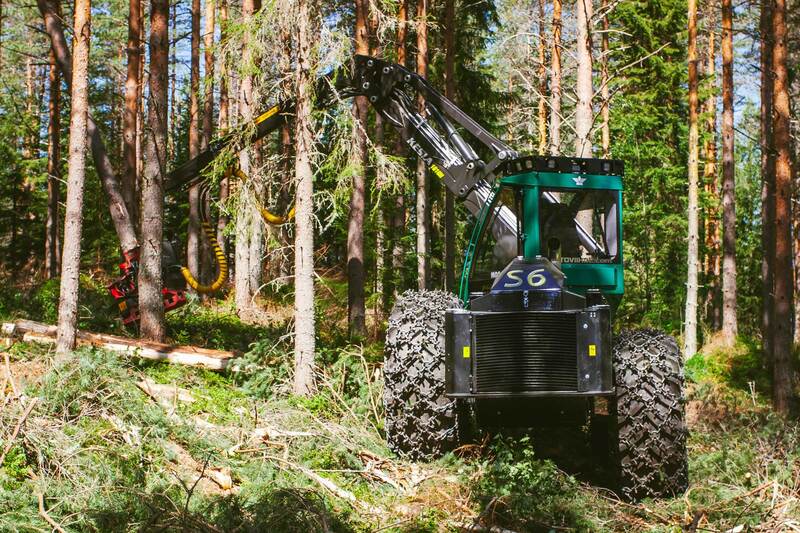 The S6 uses fully hydrostatic power transmission. The completely renewed cabin offers 10 cm more space and a more ergonomic work environment. 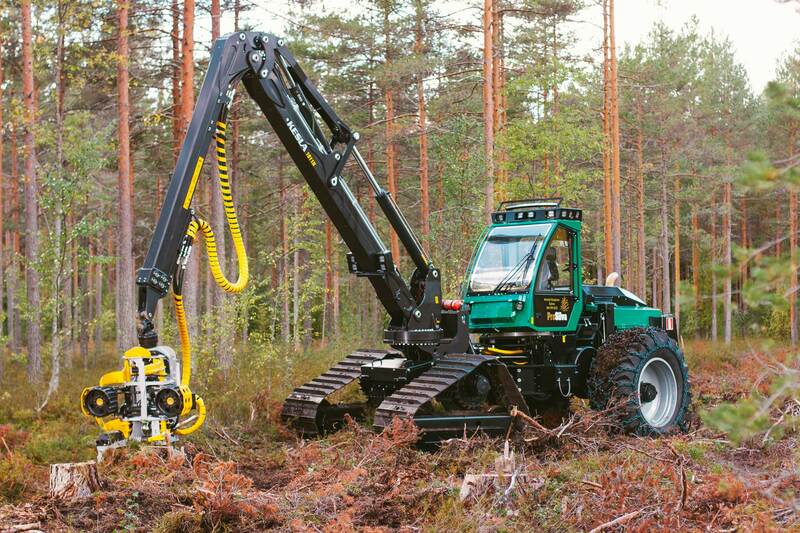 Turning cabin and automatic stabilization make working easier. 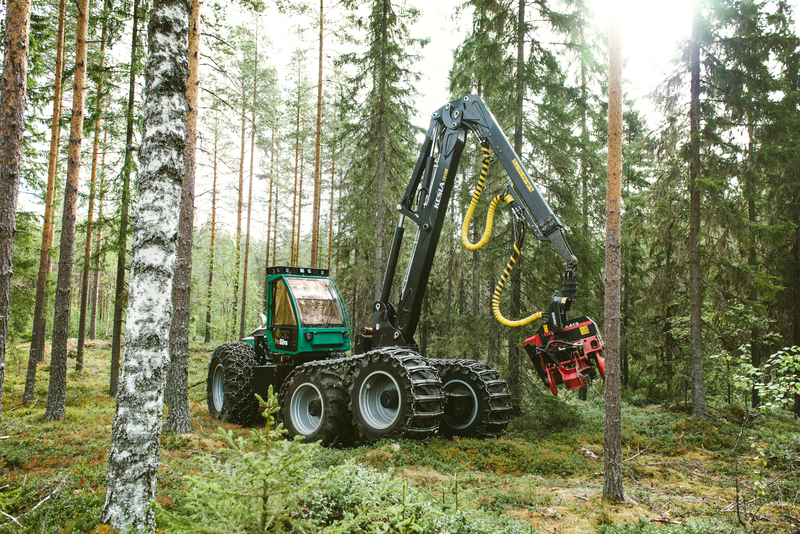 A hydraulic, automatically stabilizing rear axle, which makes the machine even more stable and convenient, is available as an accessory. A smart, electronic IQAN control system makes working efficient and, at the same time, cost-effective. The machine can be adjusted according to individual needs of each operator, which makes it an adaptable tool. 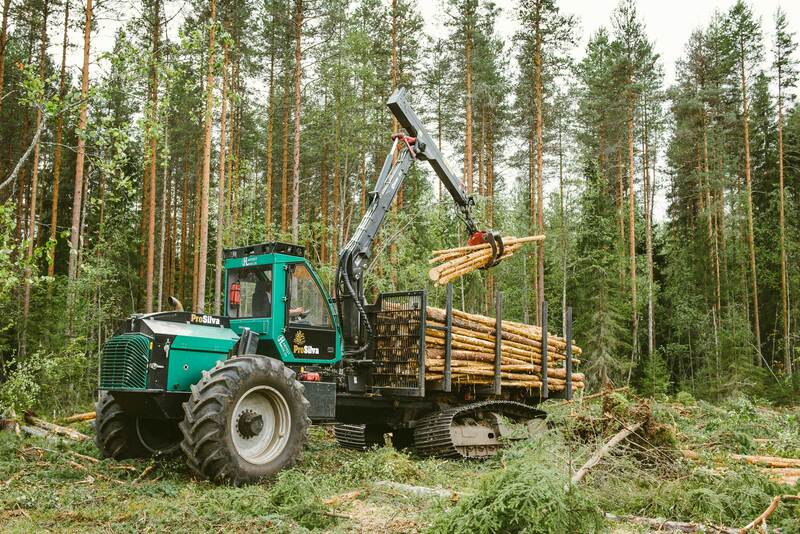 Our new S-series harvesters honour the legacy of the original ÄSSÄ-harvesters. 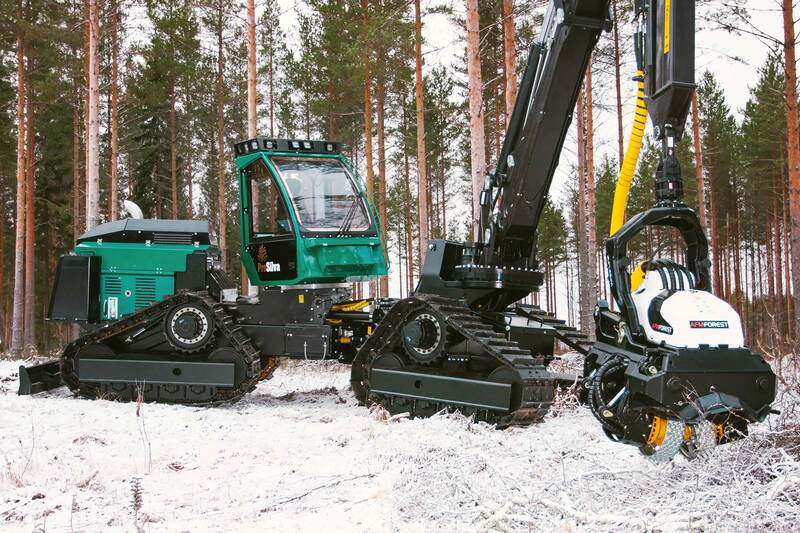 The new S4 has the same strenghts as the original machines, and it is the most advanced and efficient machine ever built in Ruovesi. These reliable powerhouses are always equipped according to customer requirements. The uniqe transmission enables superior maneuverability and very efficient component placement in the frame. Maintainability and stability even with long cranes are both of top quality. An optional hydraulic rear axle with automatic stabilization enhances stability and comfort. The completely renewed, ergonomic cabin offers more space, thanks to the 10 cm wider frame. The added space combined with hydraulic suspension, automatic stabilization (±17° tilt), and ±90° automatic rotation guarantee comfortable operating. Good visibility is achieved by adjusting the height of the cabin accordingly. The frame has been redesigned. It is up to 30% stronger in the critical spots and thus allows the safe use of bigger harvester heads. The 47 cm of added space between the axles enables the addition of the new dual-circuit hydraulic system, which improves efficiency and power. 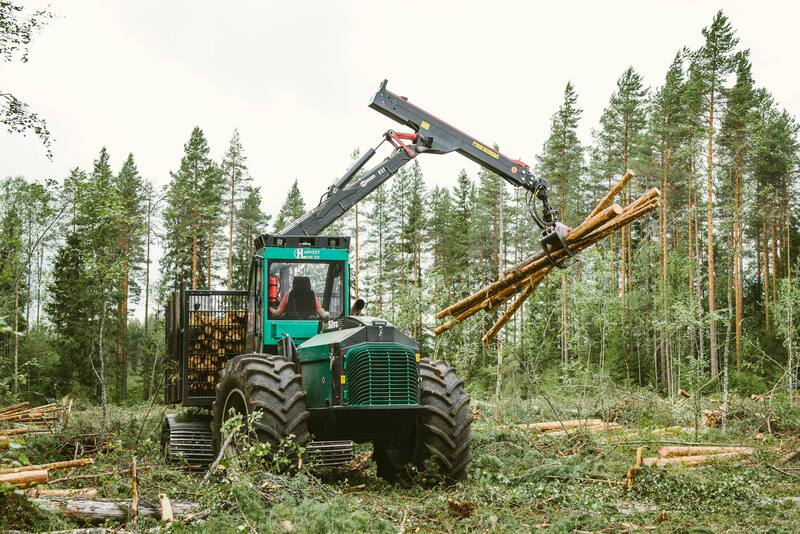 The new dual-circuit hydraulic system enables more effective and more economic simultaneous use of the harvester head and crane. 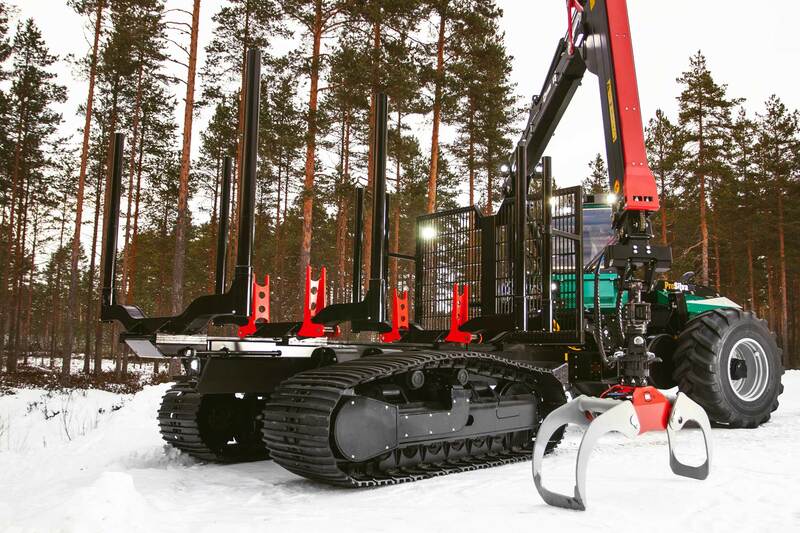 An optional hydraulic rear axle with automatic stabilization. 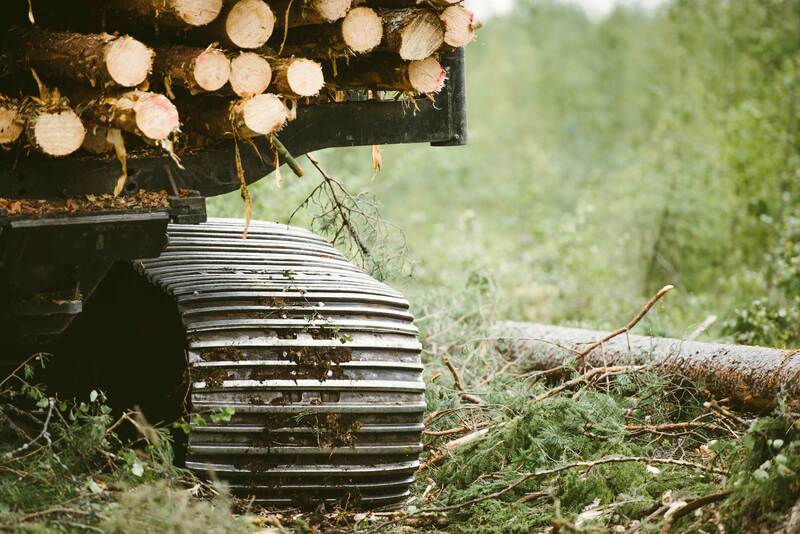 The ProSilva F2 forwarder is designed for soft soil and logging operations in the summer. The tracks under the cargo space keep the machine from sinking and the suspension has been designed with comfort and durability in mind. The track plates have been curved to prevent damages to the ground.